The fact that a summer ale is perfect for the summer weather is kind of a no-brainer. It’s all in the name, after all. But what exactly makes a summer ale a “summer” ale? The main characteristic of a summer ale is a light and crisp taste. Breweries will get this taste by combining wheat and barley together. Every year, some of the best breweries in the world prepare new summer ales for the summer season. Fremont Summer Ale – Fremont puts out a new summer ale every year that never tastes the same, which is a testament to their refusal to settle. This year’s Summer Ale is crisp and piney without being overwhelmingly fruity or bitter. Samuel Adams Summer Ale – Samuel Adams is well known for producing a variety of seasonal beers every year. This year marks the 21st year that they are releasing a summer ale. 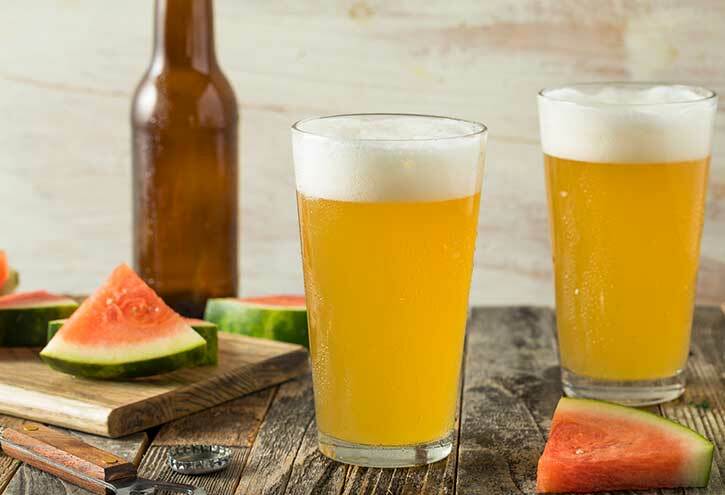 Their Summer Ale is an American wheat ale style beer that has a crisp and citrus-y flavor due to its lemon peel and grains of paradise ingredients. New Belgium Sunshine Wheat – This American pale wheat ale by New Belgium is actually a year-round beer, but as the name implies, it’s an excellent choice for the summer season. Sunshine Wheat is a crisp, filtered wheat beer with a flavor profile that exhibits notes of coriander and orange peel tartness. Deschutes Hop Slice – The Hop Slice is a unique summer ale put out by Deschutes, a brewery out of Oregon. The beer is something of a cross between an amber and an IPA. With a floral head, sharp hints of lemon, and semi-dry finish, this is a beer that’s perfect for sipping slowly on a warm, lazy afternoon. New Holland Lost Dune – If you’re in the mood for a beer that’s a little bit fruity, then Lost Dune by New Holland is a great option. Lost Dune is a summer fruit ale that releases an impressive combination of aromas that includes lemongrass, wheat and blueberry. Although it has a bit of a sharp front, the beer does transition to a creamier center. The Lost Dune’s flavor profile includes spice and citrus, with maybe a light hint of scotch. These are just a handful of the wonderful summer ales that are being produced by some of the country’s leading breweries this year. For more information about the summer ales or the brands that we carry, be sure to contact us at Columbia Distributing today.